Today (18th May) sees the return of ‘Childline Change’, ISPCC Childline’s annual national fundraising day, when people across the country have the opportunity to donate by text or online at http://ispcc.ie/donate. 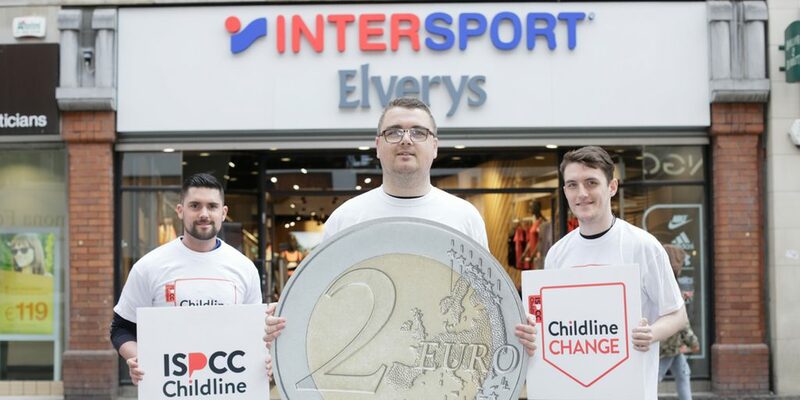 From today and running until next Friday, May 25th, Intersport Elverys are asking our customers if they would like to add a €1 donation to our charity partner Childline at in-store checkout and Intersport Elverys will match each donation to bring it up to €2! Please help us raise vital funds to keep Ireland’s listening service for children and young people at every hour of every day and night. Your change could help to change the lives of children! The Irish Society for the Prevention of Cruelty to Children (ISPCC) is Ireland’s national child protection charity. They provide Childline – the national listening service and a range of therapeutic services to children.